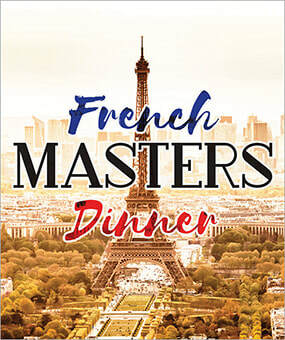 Hubert Keller, a Frenchman classically trained by France’s top Chefs, Paul Haeberlin, Gaston Lenotre, Paul Bocuse and Roger Verger, is now one of America’s most widely recognized and acclaimed chefs. He operates Fleur by Hubert Keller in Las Vegas and the widely popular Burger Bar Restaurants. Chef Keller has cooked for several United States Presidents and was the first guest chef invited to the White House by President Clinton. Chef Keller is also know for his performance on Top Chef , Top Chef Masters and Top Chef Just Desserts. Keller has appeared on “The Chew” on ABC, “Regis & Kelly” on ABC, “Rachel Ray”, “The Travel Channel“, “ The Food Channel Network”, “The Real Housewives of Orange County”, “Good Morning America”, and “Bizarre Foods” with Andrew Zimmern. Chef Keller’s also owns his cooking show, Secrets of a Chef, on PBS and is currently in Season 6, while filming, in cities like Rio de Janeiro, Paris, Honolulu, Cuba, Las Vegas and San Francisco. Chef Keller’s own cookbooks include The Cuisine of Hubert Keller, Burger Bar, Build your Own Burgers, and his latest cookbook “Souvenirs”. Food & Wine Magazine and Restaurant Award for "Who’s Who in Food and Beverage Ten Best Chefs in America"